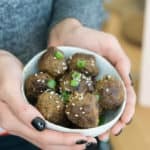 On of my favorite foods is meatballs and another one of my favorite foods is Korean food, so I combined the best of both with these Keto Korean Meatballs! The method used below makes the most moist and flavorful meatballs you'll ever eat. They are great as appetizers or as the main course served with cauliflower rice or roasted veggies! Always Shoot For A Homemade Marinade! The marinade I made for these meatballs is made from scratch and that is how it should always be. Store bought ones can be great for convenience sake, but they are usually crammed with preservatives and unnecessary added sugars. By making it at home you know exactly what's going into it so you can feel good about eating it and feeding it to your family. You also have more say over the flavor profiles when it's a homemade marinade. One of the most common questions we get is what to use for a bread crumb replacement in meatballs or even for breaded chicken, and the answer is always pork rinds. At first I was unsure about it altogether. Pork rinds aren't lacking flavor like breadcrumbs and they are very different in terms of texture and ingredients. However, once I tried it I was sold. Pork rinds are the perfect low carb breading alternative and they pick up the flavor profile of all the other ingredients masking the pork rind flavor. Another great pork rind recipe are our fried goat cheese and keto onion rings! If you have never had Korean food I highly recommend you start with this recipe! 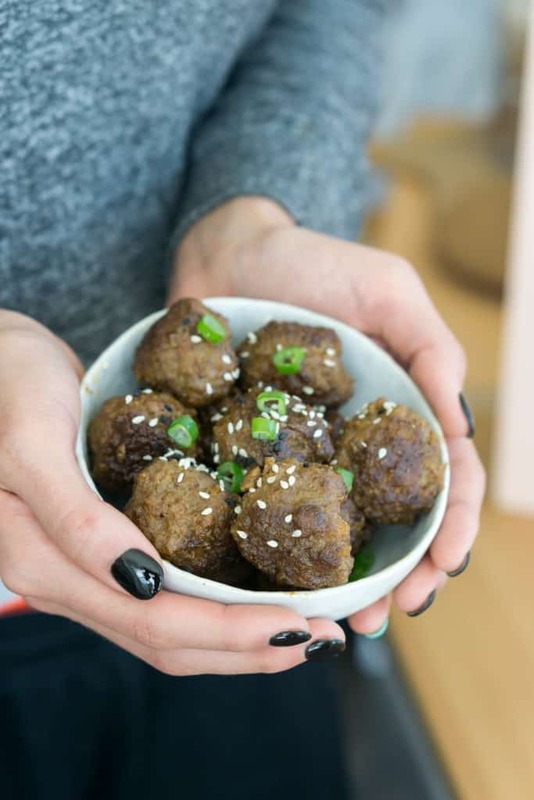 Meatballs are always a fan favorite so add a little spice and flavor from the Asian seasonings and you've got yourself a great low carb meal or snack. Next time I make these I plan to stick each one with a toothpick and serve them as an appetizer with a rich peanut sauce. 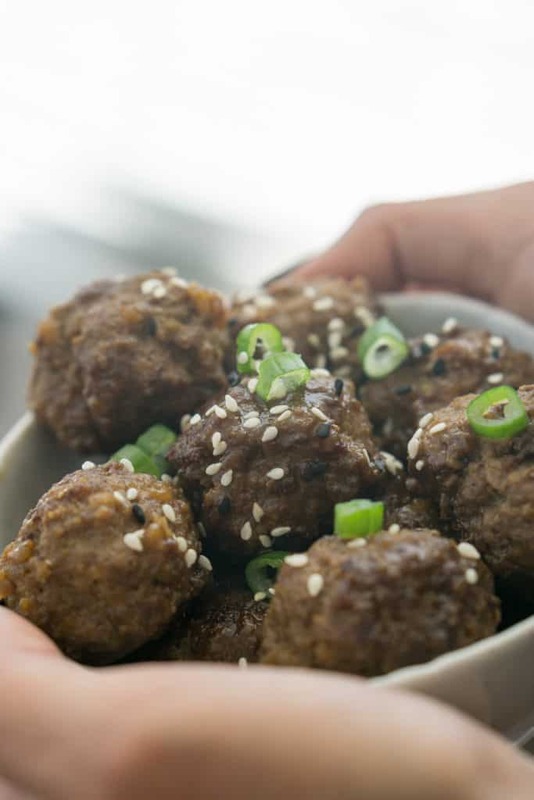 Make these Korean meatballs for your next party or get together and watch the compliments roll in! 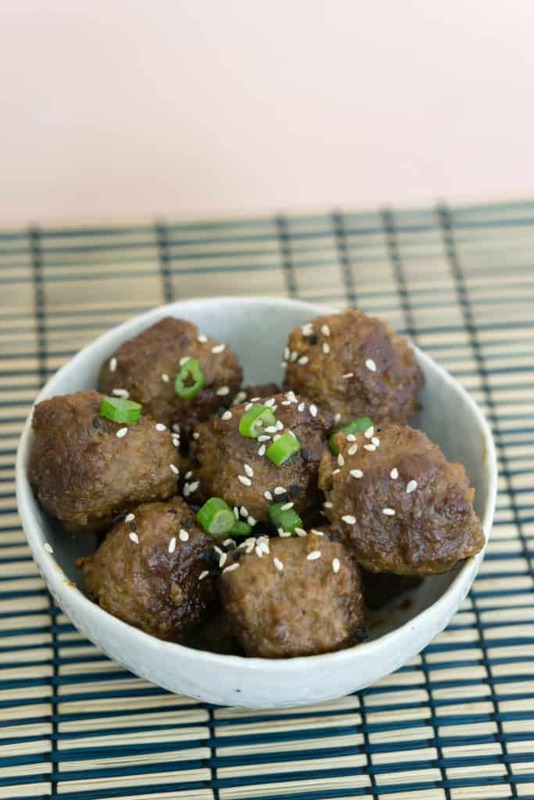 Recipe can be quickly added to MyFitnessPal - Search "KetoConnect - Korean Meatballs"
Crush up the pork rinds in a food processor or a zip top bag and pour into a large mixing bowl. Add the marinade ingredients to a blender and blend until a you get a smooth liquid. Add a splash of water if needed. Add the ground beef to the pork rind bowl and pour the marinade over top. Using your hands combine everything. Cover with plastic wrap and refrigerate for 4-24 hours. Once the meat has marinated, drain off any excess marinade and make the meatballs using your hands or a 1 inch cookie scooper. You should get around 20 meatballs. Heat a large cast iron skillet to medium-high heat and add in 1 tbsp coconut oil. Place all the meatballs (or in batches if necessary) into the hot skillet and allow to brown on all sides until fully cooked through, about 10-12 minutes. Once cooked, remove and enjoy immediately or allow to cool and then store in a sealable container up to 10 days.